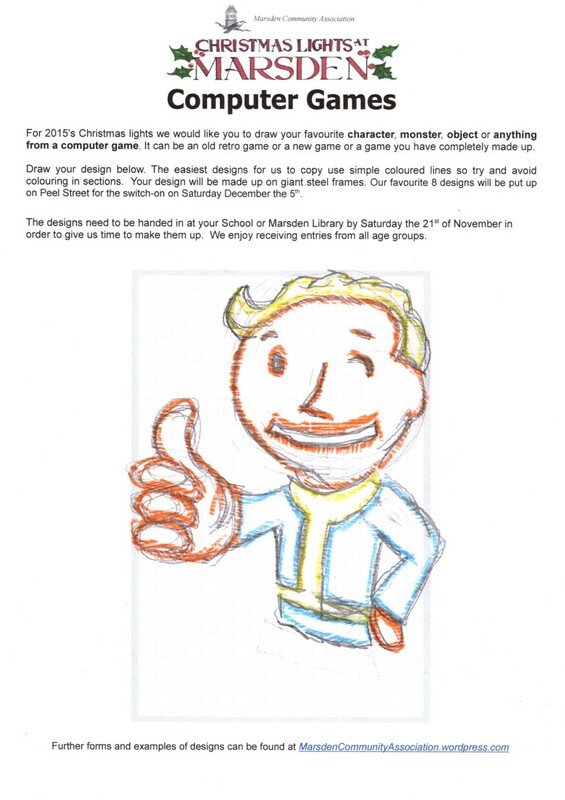 For 2015’s Christmas lights we would like you to draw your favourite character, monster, object or anything from a computer game. It can be an old retro game or a new game or a game you have completely made up. 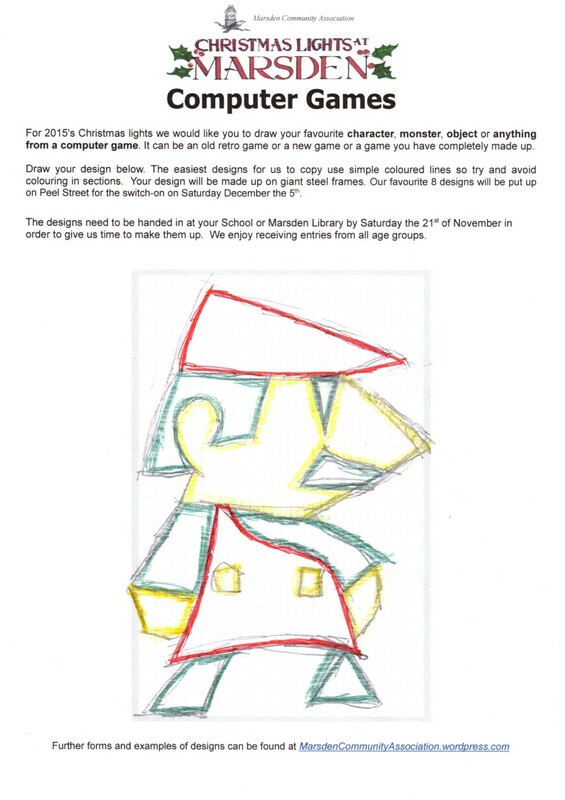 We enjoy receiving entries from all age groups. 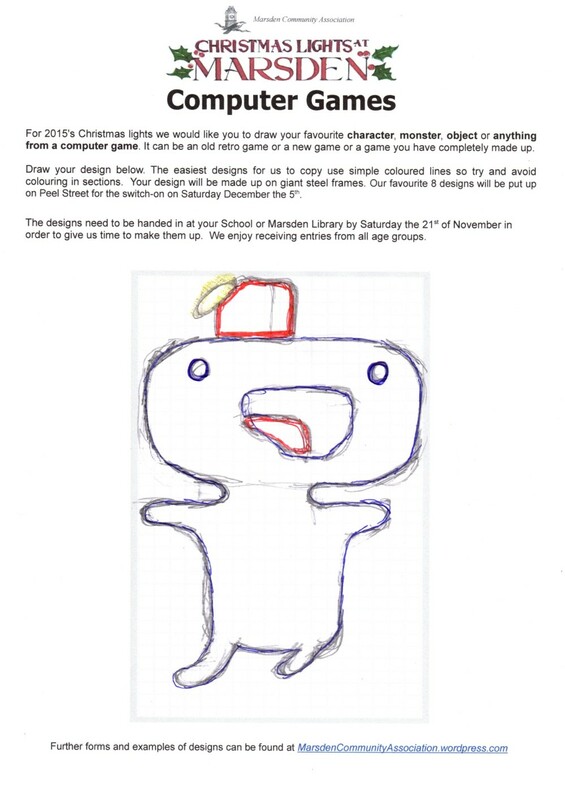 your designs need to be handed in at Marsden Library by Saturday 28th of November, this is in order to give us time to make them up. We are also looking for people to help build the light features using the submitted designs as templates. We will be building them most weekday evenings during November, if you want to come down and help with the builds then please contact us at marsden.community.association@gmail.com. We are also looking for volunteers to put up the lights, if you want to help, we meet outside the Mechanics at 10am on Saturday for the following 4 weeks. all help is appreciated.